I have recently bought a Logitech M510 as my main mouse switching over from a magic mouse. I didn't realize missing horizontal scrolling would be such an issue, but apparently it is. Now a mac does support horizontal scrolling by holding shift + scrolling, this is however amazingly slow. I have the Logitech Control Center installed, which offers a few extra options, but nothing regarding the horizontal scroll speed. The scrolling speed options offered there only affect vertical scrolling. Can the vertical speed be one setting and the horizontal speed another? 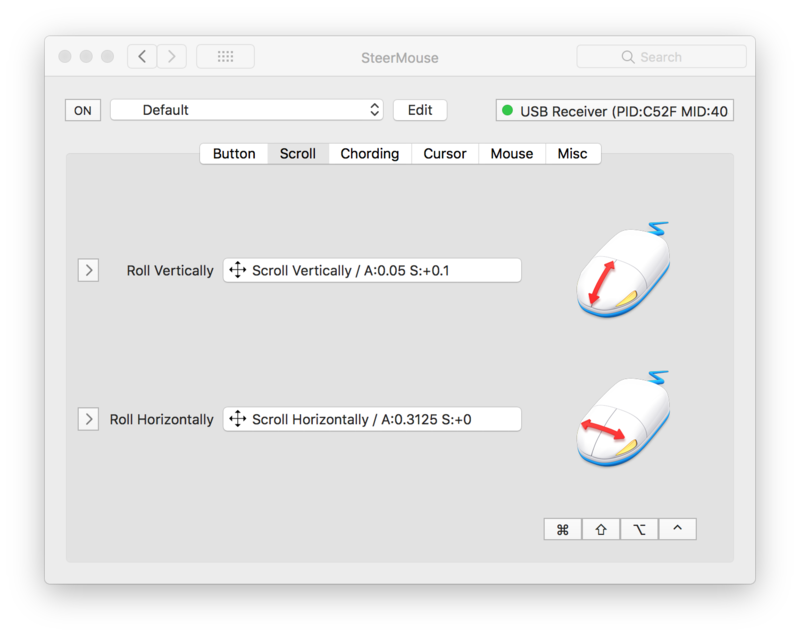 You can make the horizontal scroll speed faster and independent by overriding the native ⇧+scroll function with SteerMouse's feature to define a custom relationship between inputs, scroll speed, and direction. 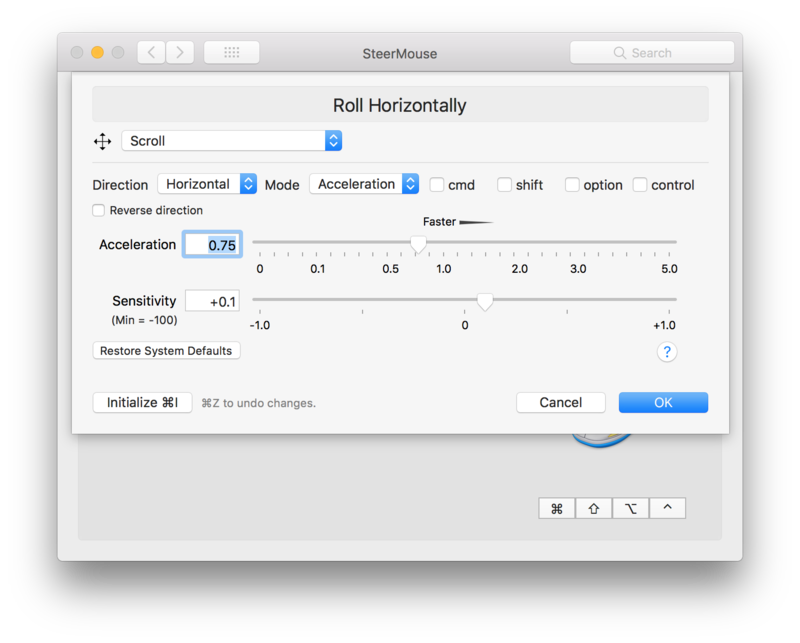 You can even assign a scroll speed acceleration value if you want to combine slower and faster scroll speeds for enhanced precision. 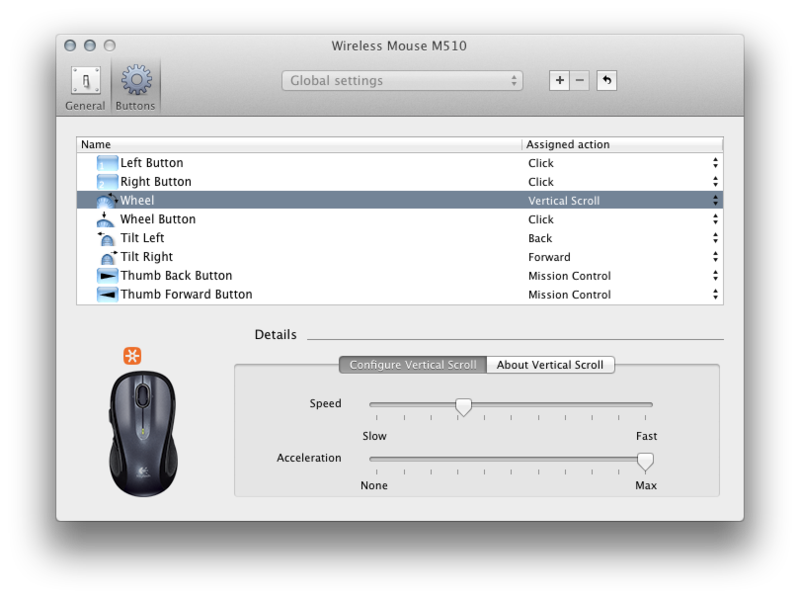 In the SteerMouse preference pane, select the "Mouse" tab. Switch the "Horizontal scrolling" option from "Tilt" to "Roll" (Fig. 1). This should be enough to let SteerMouse take over the handling of horizontal scrolling, which is what is invoked when you use the native ⇧+scroll function, so if you don't wish to make further scroll speed adjustment, you can stop here. Select the "Scroll" tab (Fig. 2). Click the "Roll Horizontally" button. Make any further acceleration and sensitivity adjustments. You can also invert the horizontal scroll direction (Fig. 3). 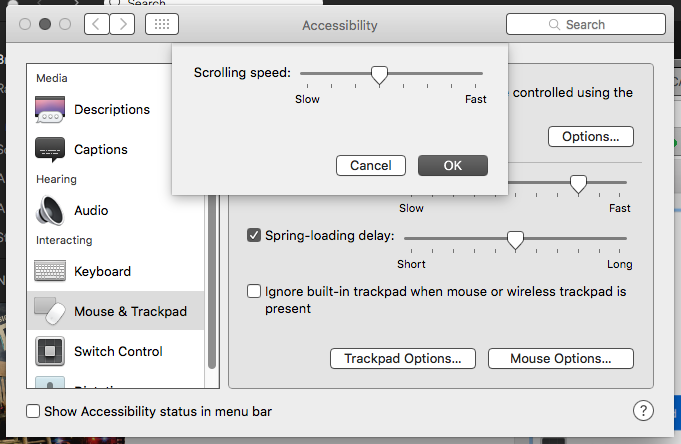 have you tried increasing the speed in Accessibility options? Not the answer you're looking for? 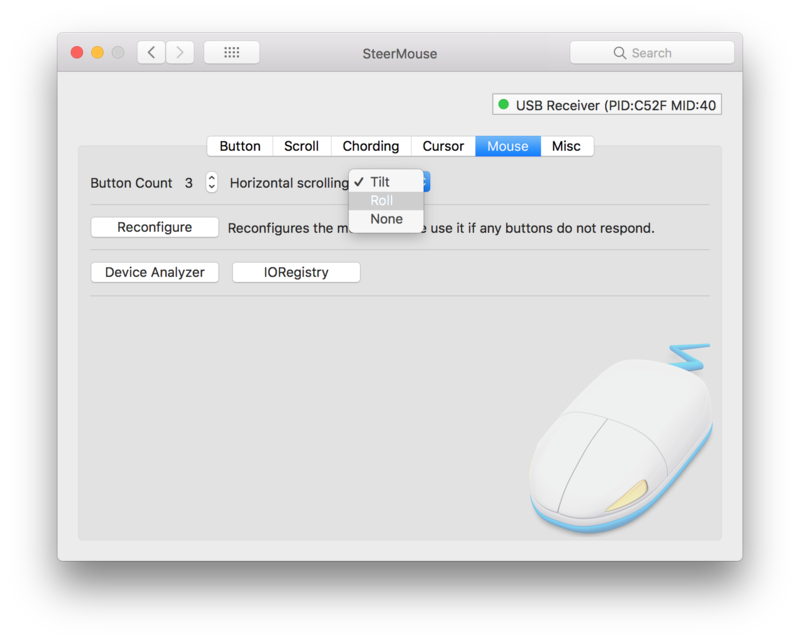 Browse other questions tagged macos mouse scrolling . How can I independently adjust the horizontal and vertical mouse tracking speed on a Mac?